As you age, an active and a healthy lifestyle is more important than ever. Low-intensity exercise done regularly can help enhance your lifestyle. We understand how lack of exercise affects physical fitness, so it is important to ensure it is part of your routine. Regardless of if you are generally healthy or managing an illness, there are plenty of ways to improve or maintain an active and healthy lifestyle. A certified personal trainer can help set the specific fitness goals to help your Senior’s fitness program keep you fit and stay fit as you age. The metabolic rate slows down as you age. But with regular exercise, your metabolism will also improve giving you more energy for the entire day. Exercise can even reverse some of the signs and symptoms of aging. 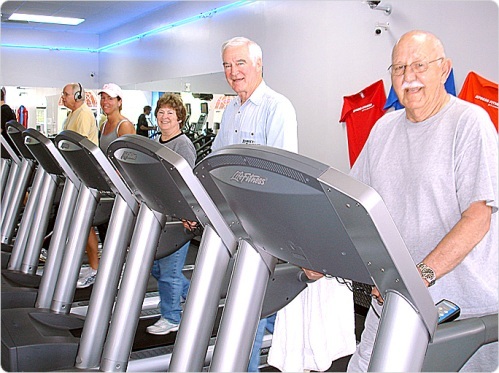 A Senior’s fitness program in North Attleboro, MA will not only help you burn calories and enhance muscular strength but it will also keep your mind sharp and improve your mood. To find out more about a Senior’s fitness program, contact Answer is Fitness.